للعيون البنيّة ظلال تعزّز بريقها وتزيد من جاذبيّتها. وتتدرّج الألوان التي تناسبها من الأسود والبنّي والشوكولاته إلى ألوان الليلكي والبنفسجي والأخضر الذهبيّ؛ حيث يُستحسن تجنّب البنفسجي الوردي إذا كانت بشرتك ورديّة. إليك دليلاً سريعاً حول كيفيّة إتقان الطلّة. لتعزيز نظرة العين وجعلها أكثر حدّة: اختاري الألوان الدافئة الداكنة، مثل الأسود، والبنّي، والرمادي الداكن والبرقوقي. لإيقاظ نظرة العين: لا تستخدمي سوى درجات الألوان الداكنة جدّاً، مثل الأزرق البحري أو الأزرق الكهربائي. لتلطيف نظرة العين: اختاري الألوان الحياديّة، مثل البيج، والوردي والأرجواني. makeup for brown eyes is considered as a very easy affair that is why brown-eyed beauties are definitely lucky. They have the opportunity to try various looks and colors. Both light and dark make up for brown eyes looks fine. Some women look bad when experimenting on some colors but the majority of these colors look good on brown eyed women. Like I said previously, you are really lucky! 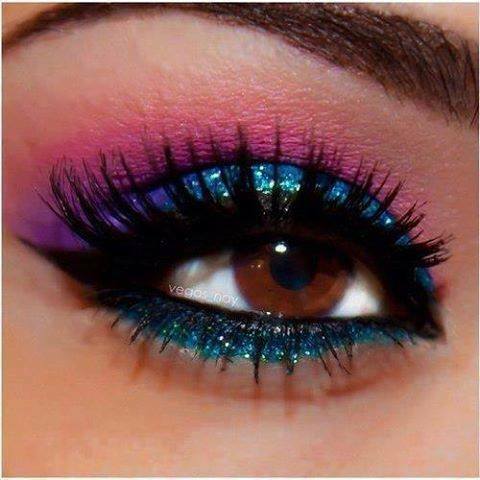 Shades like purple, violet, blue gray, brown and plum are a few of the shades that look great on brown eyes. Bronze and gold that are labeled as metallic overtones often enhance one's eye color. When applying eye shadow, remember this thumb rule - tones that are lighter compared to the natural color can be used to create a subtle look whereas shades which are darker and more powerful will lend a dramatic look. Next step of the make up for brown eyes is the use of eyeliner. 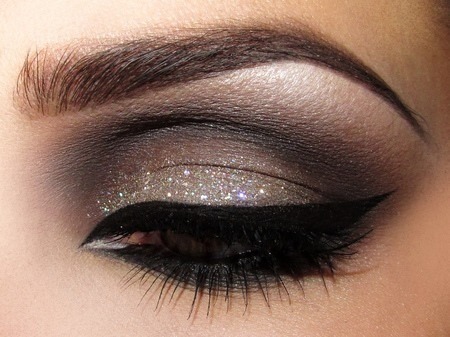 You can experiment different colors of eyeliners if you have brown eyes. You might like to try using bronze, dark blue, dark gray and golden brown.